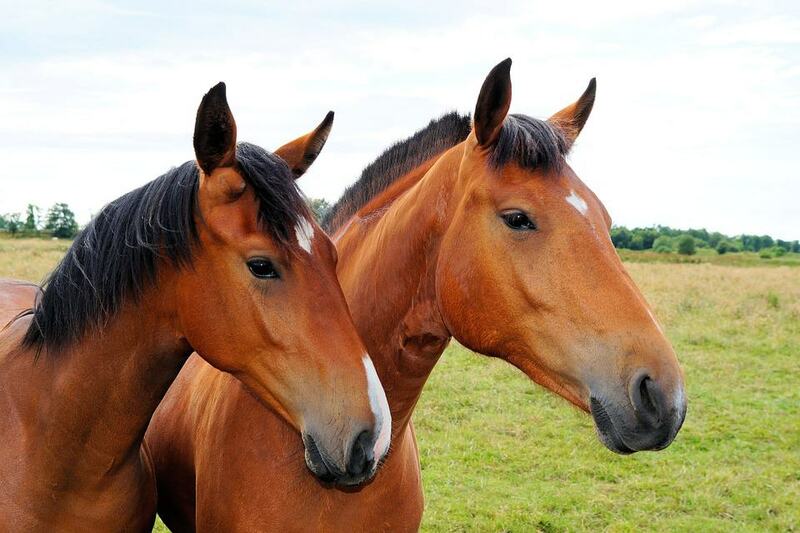 Do you know how to protect your horses from EHV-1, which is highly contagious? 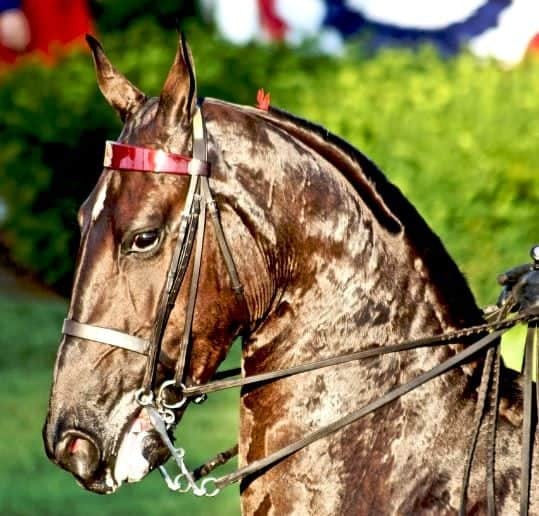 Equine herpesvirus (EHV-1) has been making headlines for the past several years. 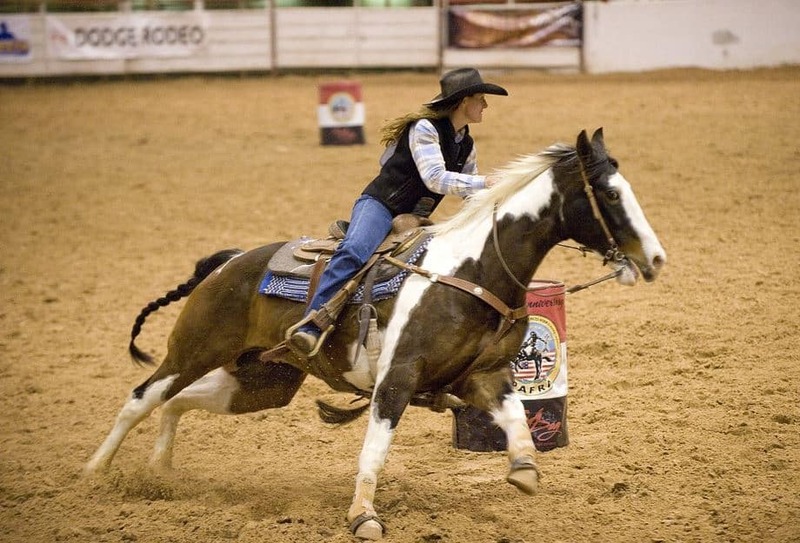 In 2011, horses that attended the National Cutting Horse Association Western National Championship in Ogden, Utah, began showing neurologic signs after leaving the event. 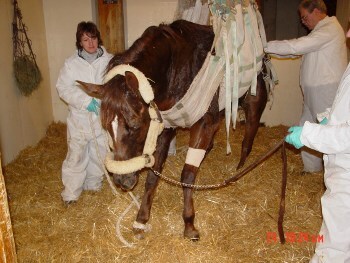 This particular outbreak affected the equine industry in multiple states. 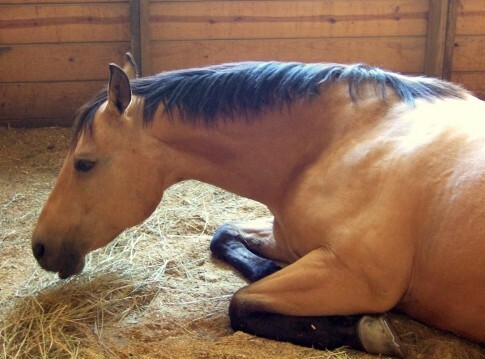 Horses developed the neurologic form of EHV-1 leading to fatalities. It is called equine herpesvirus myeloencephalopathy (EHM). EHV-1 is highly contagious. 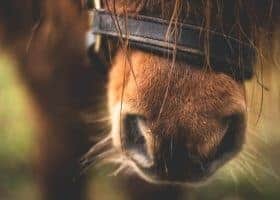 It can cause respiratory disease primarily in juvenile horses, such as nasal discharge, fever, and coughing; infection can also result in abortion and neonatal death. Although, the most concerning manifestations of EHV-1 are neurological signs such as a wobbly gait caused by a lack of coordination of the limbs. The hind limbs are often most severely affected and urinary incontinence may be an issue. These appear when the virus causes damage to blood vessels in the brain and spinal cord. Though EHM is not new, more outbreaks are being recognized and more horses appear affected with each outbreak. 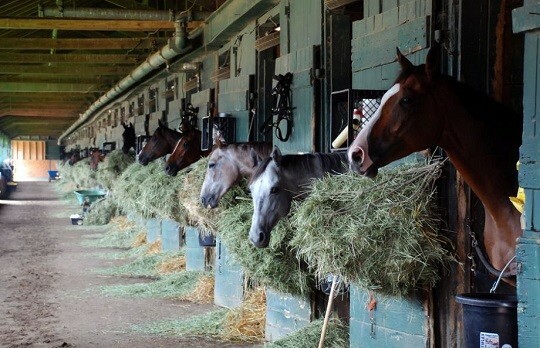 This causes concern among many equine owners. 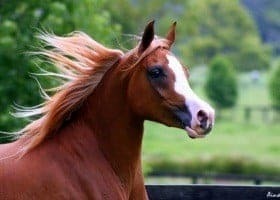 EHV-1 can affect horses of all breeds and ages. 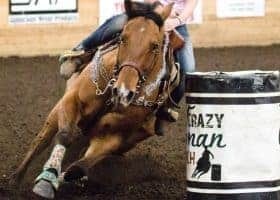 It is spread via direct horse to horse contact (nose-to-nose), indirect contact (from shared water buckets or tack, as well as from people’s hands), and through the air (aerosolized transmission). 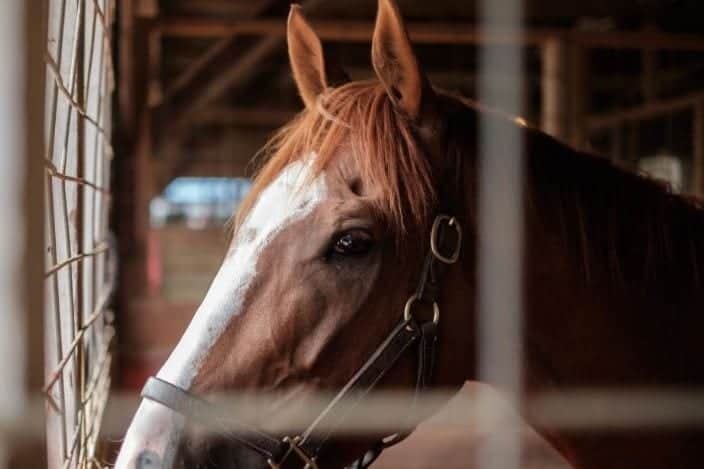 Though there are many vaccines containing EHV-1 (the rhinopneumonitis vaccine your horse typically gets in his regular vaccine series), there is no vaccine currently on the market that has a label claim for prevention of the neurologic form of the disease. The goal of vaccination is to boost immunity in order to control respiratory disease or abortion resulting from EHV-1 infection. 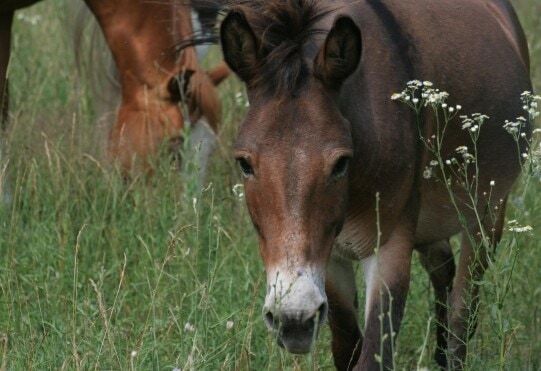 Most horses have been exposed to and infected by EHV-1 by the time they are 2-year-olds (typically as they are foals in contact with their dams). Often the virus becomes inactive once the horse is infected, but the animal will remain a life-long carrier of the virus. 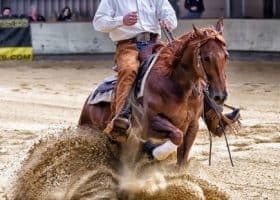 These carriers may show no outward signs of infection with EHV-1, though the virus can be re-activated should the horse become stressed, such as during transport, weaning or intense exercise. Once activated, the virus can spread via the aerosol route (even from a seemingly “healthy” horse). 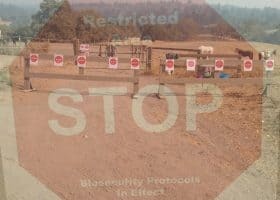 Implementing basic biosecurity measures are key to preventing the spread of EHV-1, according to Dr. Nicola Pusterla, DVM, Ph.D., Diplomate ACVIM and professor at the University of California-Davis School of Veterinary Medicine. 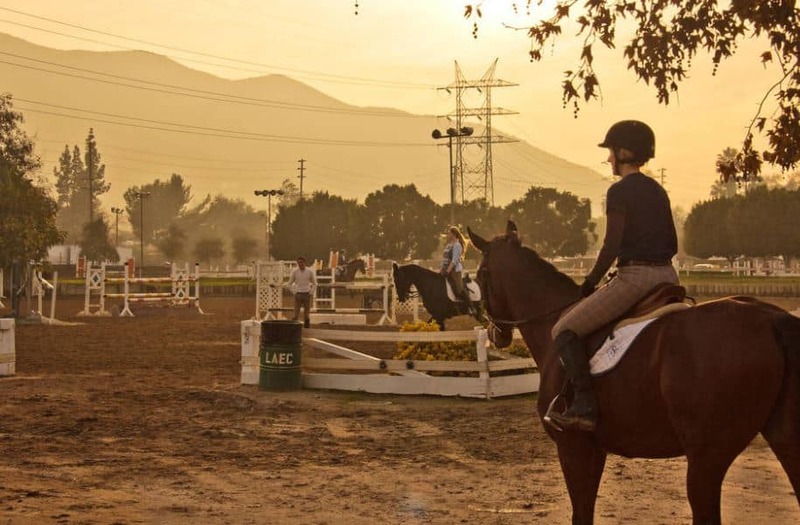 He concedes that while no horse owner will be able to eliminate all risks, everyday precautions should be taken. 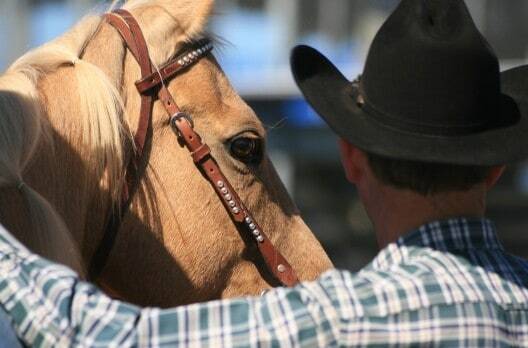 -and keeping horses that leave the premises separate from those that live on the farm full-time. 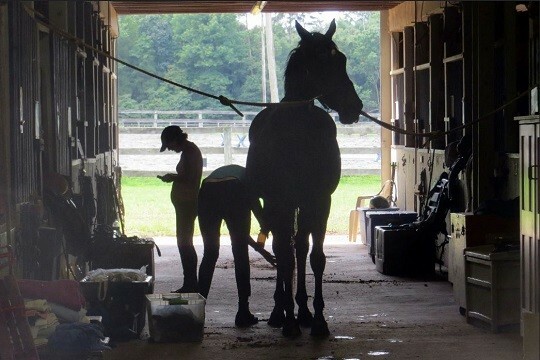 Simply knowing the health status of other horses can minimize the risk of spreading the disease to your horse. 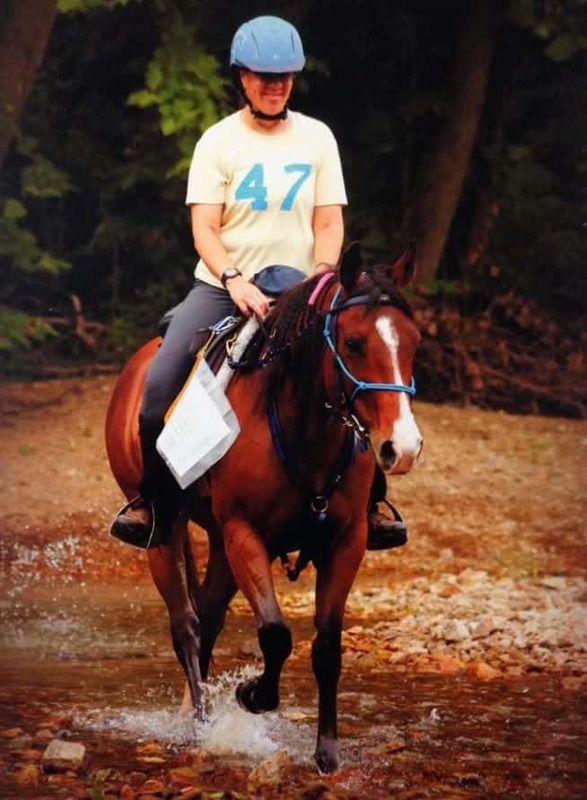 For the traveling horse, Dr. Josie Traub-Dargatz, DVM, MS, Diplomate ACVIM and professor at Colorado State University College of Veterinary Medicine and Biomedical Sciences, suggests the following taking daily temperatures while he is away from home. Then, continue to monitor the temp daily for a week once he returns. Though the incubation period for EHV-1 can be as short as 24 hours, horses begin to show signs typically a few days after exposure. 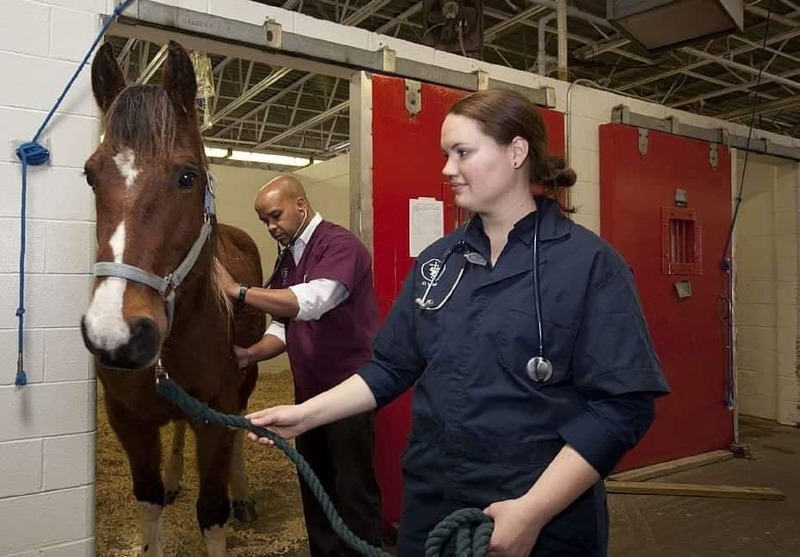 Dr. Traub-Dargatz notes that the horse may only have a mild fever, slight nasal discharge or a cough (some horses exhibit no signs of disease) before neurologic signs develop, so careful monitoring is key. If you find your horse’s temperature to be above the normal 99 to 101.5 degrees Fahrenheit, you should contact your veterinarian. They will do a physical examination and, if indicated, will take both a nasal swab and a blood sample, and send them to a laboratory to be tested. 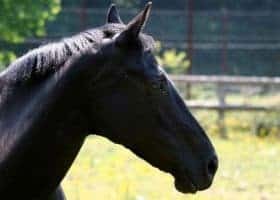 Should these tests come back positive for EHV-1 and your horse is showing neurologic signs, there is no “quick fix;” your veterinarian will base treatment on clinical and laboratory information available. 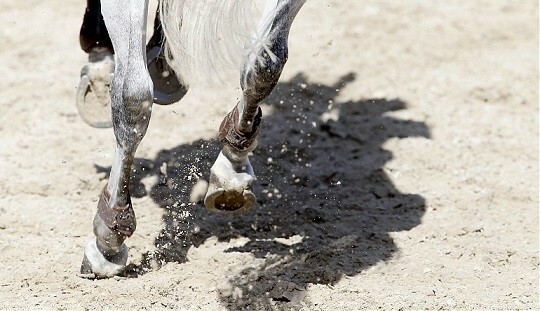 Veterinarians treat horses with anti-inflammatories often or antiviral drugs may be used as well. Contracting the neurologic form of EHV-1 is not a death sentence; some horses may recover fully while others have life-long neurologic deficits to which some can adapt. According to Dr. Pusterla, 5 to 30 percent of horses that contract EHV-1 will develop EHM. Of these EHM cases, 5 to 50 percent will require euthanasia. Dr. Pusterla stressed that each neurologic case should be evaluated on a case-by-case basis. Veterinarians in the cutting industry, that faced the EHV-1 outbreak, state that disease research shaped their treatment plans. EHV-1 has been among the priorities of research universities and funding agencies for some time. Although, there is still much to be learned. Included is how to effectively contain the disease and how to treat horses that have contracted the disease. Dr. Traub-Dargatz notes that multiple issues need to be investigated, including discovering what, beyond infection with EHV-1, contributes to the disease; the role of stress in the predisposition to EHV-1; how far the disease can spread; and how long it can survive in the environment. So far, the impact of treatment under field conditions has not been widely studied in a regimented way that allows veterinarians to determine the efficacy of the various treatments. Since there has not been a reliable way to recreate the disease other than in the geriatric horse challenge model, doing challenge studies to determine the efficacy of treatment has limitations. 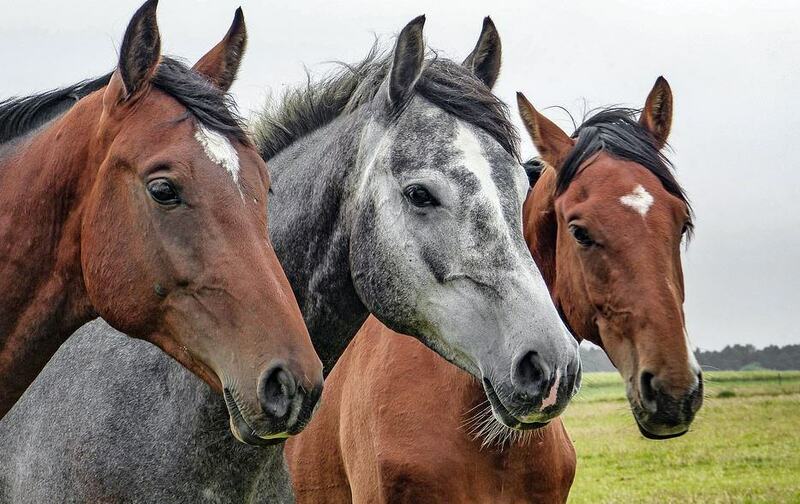 If veterinarians can collect information from horses with EHM, during EHV-1 outbreaks, as well as from non-affected horses (controls), researchers can learn more about potential risk factors.